This is one of my last posts about restaurants in New York. If you did not see my post about new restaurants and my favorite breakfast, brunch and lunch posts, make sure to check those out too. If I left off your favorite restaurant, make sure to comment because I love going to new restaurants! My cooking posts will be back tomorrow so stay tuned for a really delicious recipe! Aquagrill (South Village)-A friend from NY told me about this place when we lived there. I think they made the best salmon I have ever eaten. This is a great place to take your parents but reservations are a must. ABC Kitchen (Gramercy)-When I think of this restaurant, I reminice about the beautiful space. I want my house to look like this restaurant. Your meal is served on mismatched vintage china and I even wanted to buy the china right off the table! As far as the food goes, everything is delicious. Peasant (Soho)-This place serves yummy Italian food as well as fish. I love the cute bar below the restaurant so make sure you stop by there after you eat. Bianca (Noho)-Cute, casual Italian place in Noho. This is a fun place to go with girls or for group dinners because it is very inexpensive so it will not break the bank. They do not take reservations so plan on waiting but I promise that whoever you eat with will thank you for choosing this restaurant. 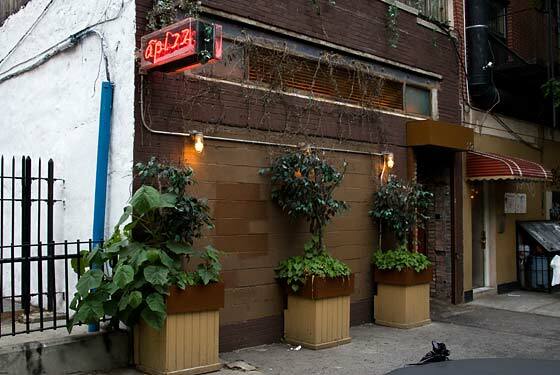 Apizz (Lower East Side)-This is a hidden restaurant on Ethridge in the Lower East Side. Most people do not know that it is owned by the same people who own Peasant. They also serve wonderful Italian food in a very romantic, dimly lit room. You have to know about this place as it is a diamond in the rough. L’Artusi and Dell’Anima (West Village)-These are two of my favorite restaurants and they have the same owner. Both places give you the option to sit at the kitchen counter which I highly recommend if there are only two of you. It is the ultimate experience. The chef is also from Texas and goes between restaurants but if you have a chance to talk to him, take that opportunity because he is very personable. Gotham Bar and Grill (East Village)-Of the fancy restaurants we went to (including Eleven Madison Park), this was by far the best. This would be a place you take your parents if they like fancy places. It is where all the locals go for their steak or fish dinner. Michelin Star too! Mary’s Fish Camp (West Village)-This is a tiny place in the West Village. They have an open kitchen so you can witness the chaos that goes on in such a small place. I have not had a bad entree here so if you want fresh seafood, this is your place. Unfortunately, they do not take reservations. Joe’s Shanghai (Chinatown)-Hands down the best no frills Chinese food in Manhattan. You have to get the soup dumplings (pork or crab). This place is very casual and has community seating. If there is a wait, go get a foot massage across the street! La Esquina (Soho)-You have to make reservations in order to go here (646-613-7100). The food is good but the scene is what makes this place great and it is underground! Barrio Chino (Lower East Side)-Unmarked Latin-American restaurant in the Lower East Side. This place is loud and always packed so don't go here expecting a quiet and peaceful dinner. There is great people watching. Models tend to hang out here! Balaboosta (Soho)-Super cute and quaint Greek restaurant in Soho. I love everything about this place. FLEX MUSSELS (West Village or Upper east side)-BEST MUSSELS EVER! IF YOU LIKE MUSSELS THEN YOU HAVE TO GO HERE! 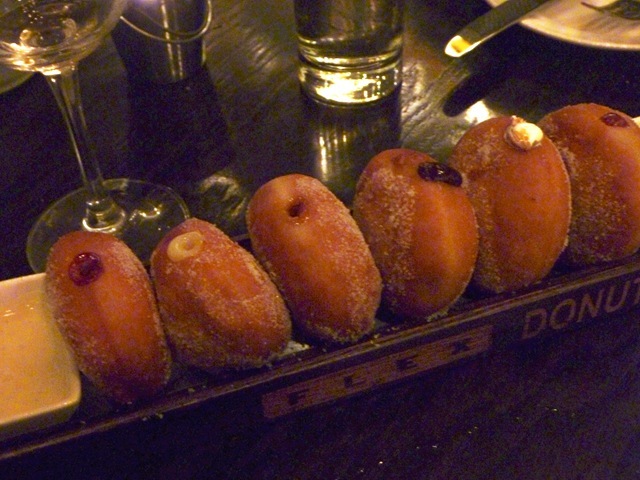 Get the doughnuts for dessert, they are heavenly! The pastry chef at the Upper East Side location is from Top Chef Desserts. Casa Mono (Gramercy)-This is my favorite of Mario Batali’s restaurants. Everything is served Tapas style so you get to try a bunch of different things. Lavagna (East Village)-All the locals go here. Tourists do not know about this place because it is off the beaten path. Even though this place serves Northern Italian food, the best thing on their menu is the whole cooked fish (flambé style)! I took my parents here when they visited and they absolutely loved this place (my dad is hard to please). Ippudo (East Village)-Casual place that all the NYU students go to. They are known for their ramen. I do not know what they do to their ramen but whatever it is, will make you crave ramen all the time. Orso (Theatre District)-There are not many good restaurants in the Theatre District. This is by far the best if you need a place to go before a broadway show. They have awesome flatbread but it is pricey though. Bar Pitti (West Village)-If it is a pretty day, this is the place to go to sit outside. The only downside is there is always a wait because they do not accept reservations. I love their linguini with clams. FYI, they do not have a website so just take my word for it and check this place out. You may even see a celeb here. Also, do not be tempted to go to the restaurant next door, Da Silvano, as this place is much better! Palma (West Village)-I love this place for their precious outdoor patio. It is on the more expensive side but definitely worth checking out if you want a quaint spot. We ordered the seafood pot (you will know what I am talking about if you go here) and that was a standout for me. Hearth (East Village)-Eater says this restaurant is one of the most underrated in the city. I have to agree because our meal was incredible from start to finish. I do not know why there is not more hype about this place. This was another restaurant where we sat at the kitchen counter and watched the chefs in action. No list would be complete without my favorite pizza and dessert places in New York so here they are in no particular order! Numero 28 Pizzeria (West village and East village locations)-this is one of my favorite places to get Neapolitan pizzas. The price is right too. Both locations have outdoor seating and the East Village location is great for large groups. Keste (West village)-All of my friends are obsessed with this place. I enjoyed my pizza here but I am not as obsessed as they are! This place is still worth trying though. Franny's (Brooklyn)-This place is getting written up like crazy. I loved my meal here from start to finish. Sugar Sweet Sunhine (Lower East Side)-This is my favorite bakery in the city. 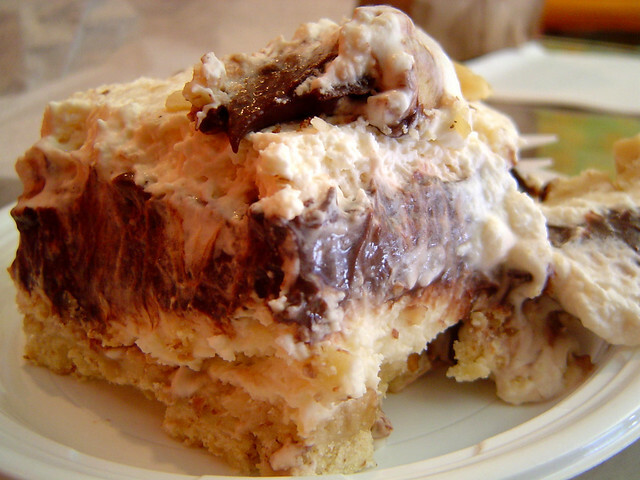 They make the best cupcakes and they serve this pudding that is a mixture of butterfinger, chocolate, cookie dough. It is unbelievable. Momofuku Milk Bar (East Village)-Very inventive and creative desserts. You cannot go here without ordering the cereal milk yogurt and crack pie. You will be addicted too. If you get a chance to go to David Chang's other restaurants, I recommend Momofuku Noodle Bar and Momofuku Ko (one of the hardest reservations to get).